My hair has practically been every shade of the pastel rainbow – bubblegum pink, lavender, rose gold and mint – and, until now, I’ve never really thought about how my dark brows looked with each hue. This week, I sat down with Lorac’s Pro Artist Dean Fournier to check out the brand’s fall 2014 lineup. He introduced to me to the new Pro Brow Pencils that come in six easy-to-match shades, including one that was specifically made for platinum, pastel, gray and even black hair. 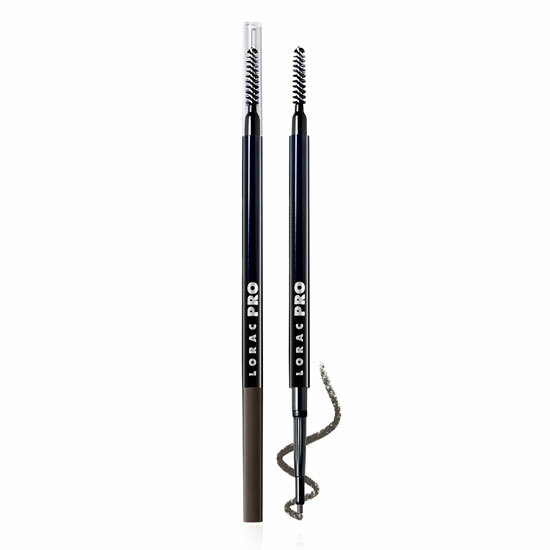 Now, you’re probably thinking, how can one brow pencil can work for both pastel and black hair? Unlike the other hues in the range (and all other brow product hues), the slate doesn’t have that warm tint that dark brown or blonde shades tend to have. If you’ve ever tried to color in your black brows with a dark brown shade, you’ll know what I’m talking about when I say they probably came out reddish, right? That’s what makes the slate shade so unique. It has the perfect blue-gray tint that’s perfect for hair that doesn’t match your standard blonde and brunette shades. 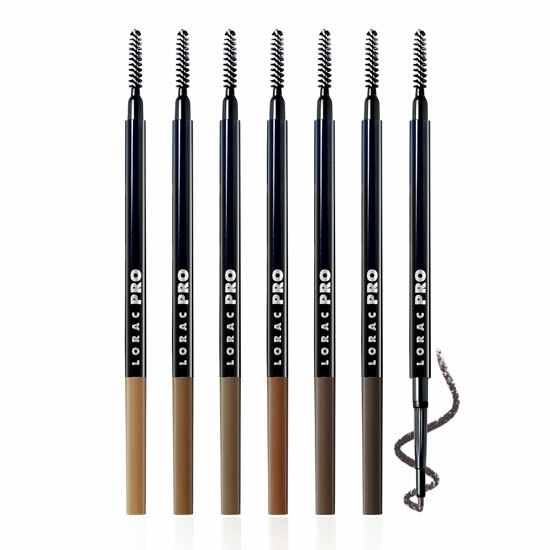 Besides the wide range of shades, the Pro Brow Pencil boasts long-lasting color that glides on effortlessly without skipping or tugging. 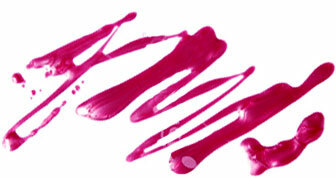 The double-ended crayons are thin enough to create hair-like strokes for a very natural look. Plus, the attached brow brush assists in grooming and shaping for perfect brows every time. The Lorac Pro Brow Pencil comes in six shades – blonde, light brown, brunette, auburn, dark brown and slate. They are available now for $19 at Beauty.com.